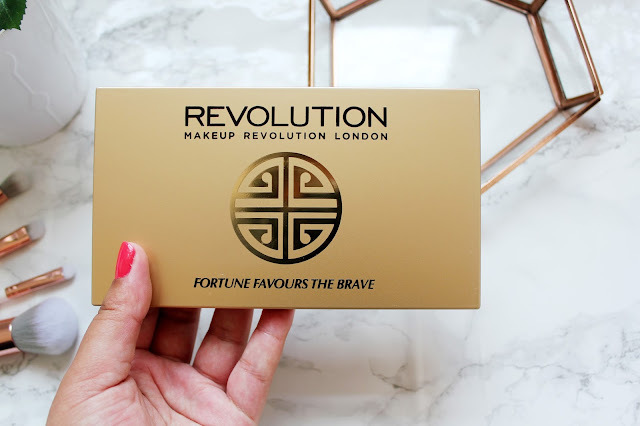 Make-up revolution is a brand I’ve loved for a long time; it’s so affordable and great quality. When I first heard about their collaboration with Brit Beauty Blog I knew this was a palette, which you couldn’t miss. 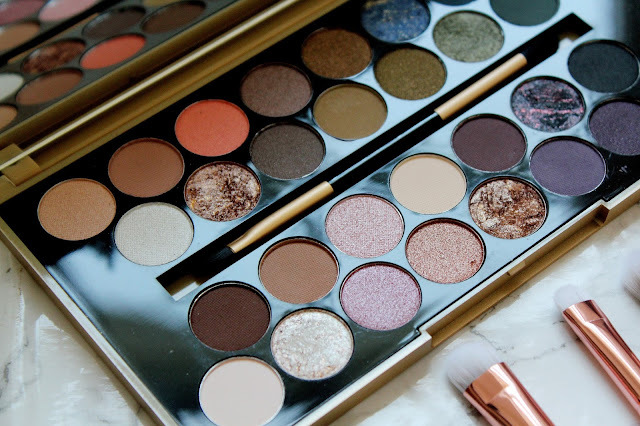 This palette has thirty shades of matte, glimmer and sheen for any eye look. The palette includes shades of black, green, blue navy, brown and gold and doesn’t break the bank, as it’s only £9.99. 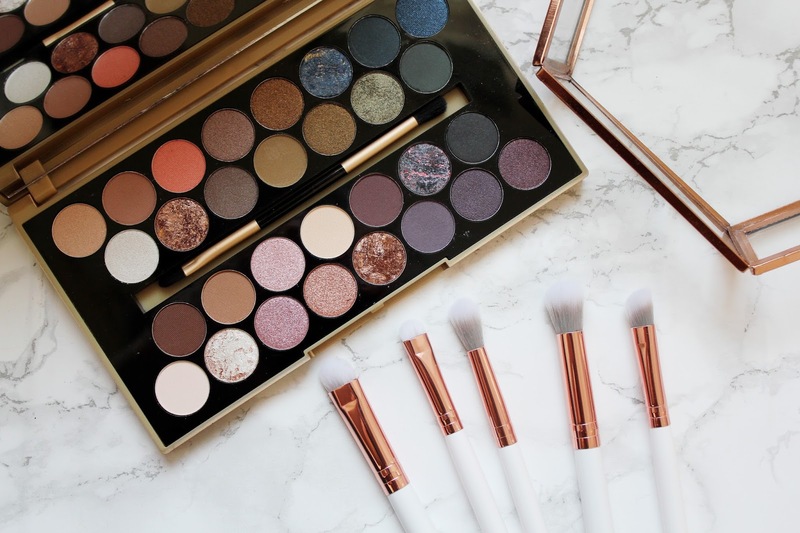 This palette has a real variety of shades from pale pinks to dark blues and this makes it a great palette to take your make-up look from day to night. What’s so great about this palette I find is the massive mirror inside (which makes it perfect for travelling) but also how pigmented the eyes shadows are. For the price, make-up revolution eye shadows are always amazing quality and very pigmented. 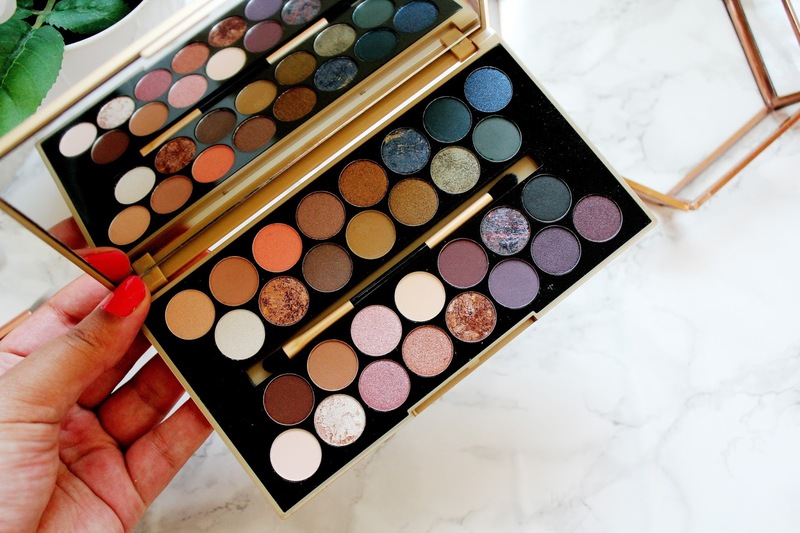 I think by having a palette like this in my make-up stash it will persuade me to try out new colours, I had my make-up done recently and the make-up artist using dark purple/burgundy on my eyes and I love how it looked on me! This palette includes some burgundy/purple shades, which I can’t wait to try. The ‘everyday’ tones are on the left side of the palette as those shades are quite neutral and toned down and the ‘evening’ tones are on the right-hand side which are the perfect shades to take your eye make-up look from day to night. 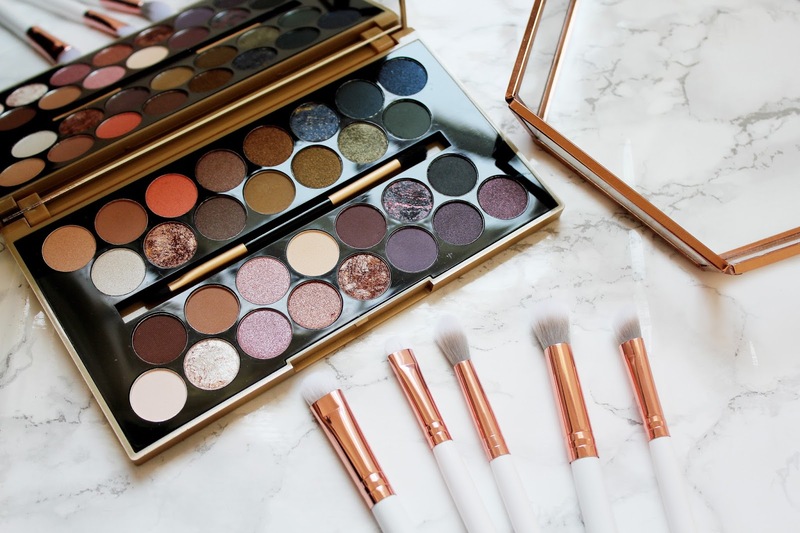 On the whole I am really impressed with this palette, you are getting 30 shades for just £10 and these includes shimmer, matte and sheen colours. I am really impressed with the variety of the shades in the palette too. I’ll be taking this away with me when I’m travelling as it’s the perfect day-to-night palette and also the massive mirror inside is a total bonus! What do you think of this palette? Have you tried anything from make-up revolution? Bahhh this looks incredible! 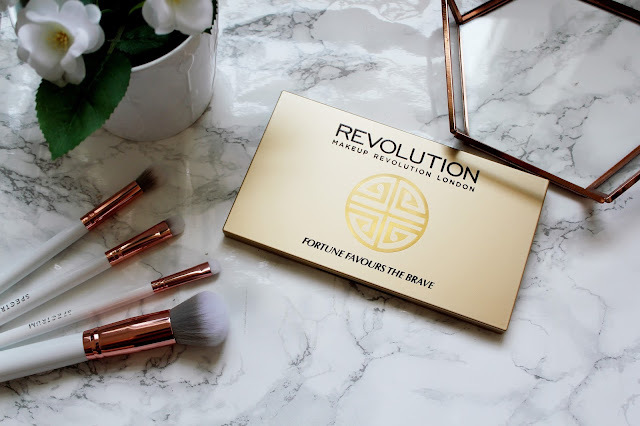 I'm so obsessed with Make Up Revolution, everything I try I just love a little bit more than the last! I love this! The packaging is absolutely stunning! I need to get my hands on NYX bits and that palette looks gorgeous ! Wow, this palette actually looks amazing! I cannot believe the price and the shades looks gorgeous. 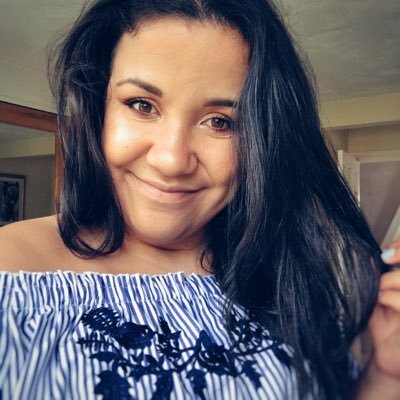 I actually bought a few bits from Makeup Revolution about a year ago I think but they seem to have stepped up their game even more since then.